Car Accidents: Do You Need a Personal Injury Lawyer? Each year, thousands of people find themselves involved in personal injury claims after a vehicle accident. 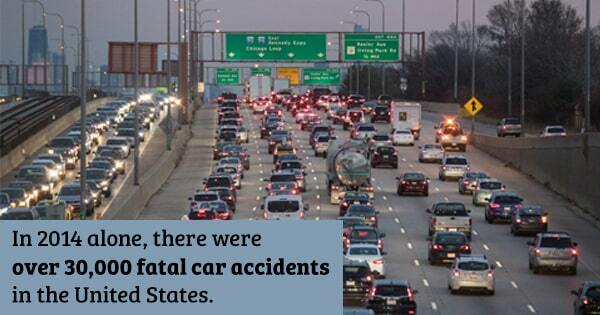 In 2014 alone, there were over 30,000 fatal car accidents in the United States. When someone is involved in a vehicle accident, it’s important for them to know whether to hire a personal injury lawyer. Unfortunately, many people have misconceptions, which can lead to making the wrong decision. So, to prevent that from happening, we’re going to take a closer look at a few common misconceptions about car accident cases. One of the biggest misconceptions regarding car accidents is that the police who arrive at the scene will determine who was at fault. However, this is not true. Police are there to provide medical assistance, take statements, collect evidence, and write a report. They are not involved in anything to do with determining fault and compensation. While police may be involved in a trial later on, they aren’t responsible for helping someone prove that they were the victim of negligent driving. Many people make the mistake of thinking that if they feel fine after being in an accident, they don’t need medical attention. But this can be problematic for two reasons. First, not all injuries are present or noticeable right away. While someone may feel and look fine, they could have internal injuries that can only be detected with proper medical attention. And second, medical records are important for a car accident case. Without proof of injuries sustained from the accident, fighting for fair compensation is going to be quite difficult. While many people think that hiring a personal injury lawyer isn’t worth the money, receiving proper compensation is going to be more difficult without an experienced attorney. From meeting deadlines to submitting the proper paperwork to gathering evidence, there are a lot of steps in a car accident claim that can be problematic without the help of an attorney. A personal injury lawyer will have the knowledge and resource to ensure that the case is built as strongly as possible. Choosing an attorney should be one of the first steps after being in a vehicle accident. Hopefully, this article was helpful in clearing up some confusion regarding vehicle accident claims. Car accident laws can be complex to manage, and it’s helpful to have an attorney by your side to guide you through the claims process. If you’re looking to find an attorney for your car accident claim, contact Steigmann Law today. Our team of personal injury lawyers is prepared to help build your case and fight for your rights.